The Beer Fag: Southern Tier’s Mokah! Another great video brought to you by Gus. I love his whimsical take on beer, and this time he has an imposter. The Beer Fag: Oskar Blues’ Deviant Dale’s! 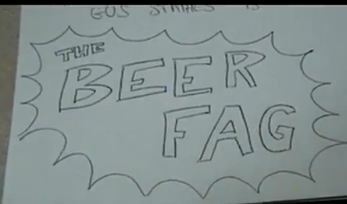 Without Further ado, I once again give you, The Beer Fag. The Beer Fag: Oskar Blues’ Dale’s Pale Ale! To that end, I thought I would share one of his videos with you today. If the general consensus is good, I’ll pick some of his videos from time to time to be featured on Indy Beers. Without Further ado, allow me to introduce The Beer Fag.